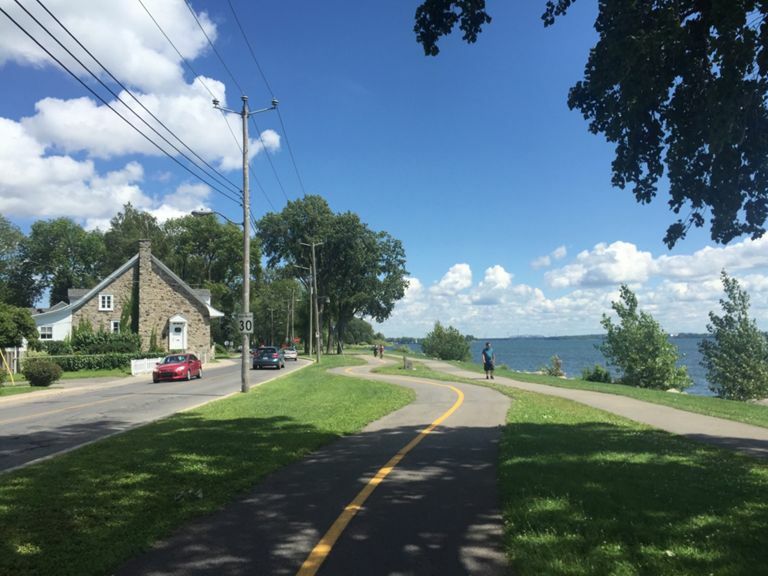 If someone were to ask me where to go on a mellow, scenic and safe cycling trip in Canada, it would start in Ottawa and follow the route verte trough Quebec. The last few days have been so much nicer than Ontario, or Manitoba, or Saskatchewan, or Alberta. We passed and indulged in our first lemonade stand today. The little girl running it didn't seem to really understand where we had come from, but her mother was pretty impressed. We ended today in Montreal, where Simon's cousin Matthew hosted us for the evening. There's a long bike path along the canal, making for a smooth entry into the city.